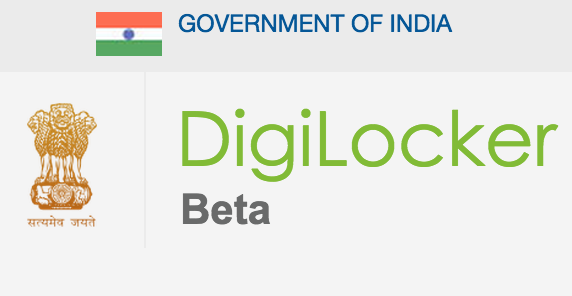 The DigiLocker Service in now in Beta and is a powerful tool that can be used to store your precious documents online. Even though Aadhaar Card is a powerful document, it is still in the infant phase. Which is why it is still being accepted but not as a single unified ID. The government has seen that and has launched the DigiLocker service online just because of that. The DigiLocker Service is an online portal which you can use with the help of your Aadhaar card to store a soft copy of your important documents in a secure location. This can be a real lifesaver in many cases.You can save an e-copy of your important documents like Voter ID, Birth Certificate, PAN Card, Ration Card etc all in one place. This service will be implemented with government portals so that you can easily go through various processes without the hassle of uploading your documents again and again. All you would have to do is link them to you DigiLocker and they will only be given permission to access the document required. For example, your Voter ID card is required as a proof for some online process. You will only need to give the DigiLocker link and will not have to upload the scanned copy of the Voter ID. All your important documents stored in a single, secure location. No hassle of uploading documents again and again. Any Indian Citizen with an Aadhaar Card can apply, even if he/she lives abroad. 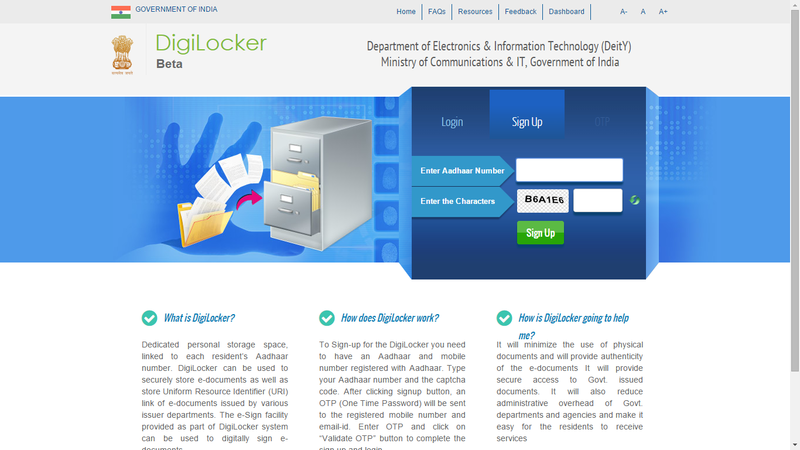 First go to the DigiLocker Portal here. After you have signed up, for login, you will be sent the One Time Password(OTP) to the mobile no you have given in your Aadhaar Card. If you have not entered your mobile no on Aadhaar Card, follow this guide here. After entering the OTP an e-authentication will be done via UIDAI. This will complete the sign up process. After this you can upload your documents easily.